Data scientists are sometimes called the sexiest job of the 21st century, but that doesn’t mean there are a lot of them out there. Schools aren’t churning out graduates with specialties in data science yet. 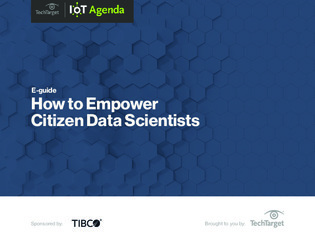 That leaves the burden of finding insights from scores of IoT data on citizen data scientists, whose primary jobs is outside the field of statistics.